a. ^ The capital was de facto located at Rio de Janeiro from 1808 to 1821. The Kingdom of Portugal (Latin: Regnum Portugalliae, Portuguese: Reino de Portugal) was a monarchy on the Iberian Peninsula and the predecessor of modern Portugal. It was in existence from 1139 until 1910. After 1415, it was also known as the Kingdom of Portugal and the Algarves, and between 1815 and 1822, it was known as the United Kingdom of Portugal, Brazil and the Algarves. The name is also often applied to the Portuguese Empire, the realm's extensive overseas colonies. The nucleus of the Portuguese state was the County of Portugal, established in the 9th century as part of the Reconquista, by Vímara Peres, a vassal of the King of Asturias. The county became part of the Kingdom of León in 1097, and the Counts of Portugal established themselves as rulers of an independent kingdom in the 12th century, following the battle of São Mamede. The kingdom was ruled by the Alfonsine Dynasty until the 1383–85 Crisis, after which the monarchy passed to the House of Aviz. During the 15th and 16th century, Portuguese exploration established a vast colonial empire. From 1580 to 1640, the Kingdom of Portugal was in personal union with Habsburg Spain. After the Portuguese Restoration War of 1640–1668, the kingdom passed to the House of Braganza and thereafter to the House of Braganza-Saxe-Coburg and Gotha. 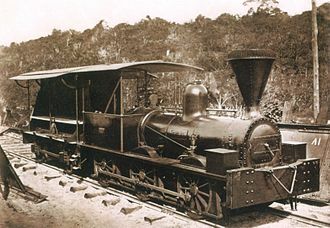 From this time, the influence of Portugal declined, but it remained a major power due to its most valuable colony, Brazil. After the independence of Brazil, Portugal sought to establish itself in Africa, but was ultimately forced to yield to the British interests, leading to the collapse of the monarchy in the 5 October 1910 revolution and the establishment of the First Portuguese Republic. 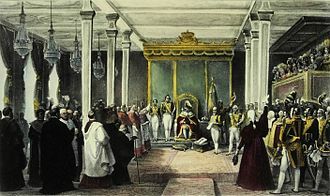 Portugal was a decisive absolute monarchy before 1822. It rotated between absolute and constitutional monarchy from 1822 until 1834, and was a decisive constitutional monarchy after 1834. The first on 26 July 1139 when Afonso Henriques was acclaimed King of the Portuguese internally. The second was on 5 October 1143, when Alfonso VII of León and Castile recognized Afonso Henriques as king through the Treaty of Zamora. The third, in 1179, was the Papal Bull Manifestis Probatum, in which Portugal's independence was recognized by Pope Alexander III. Once Portugal was independent, D. Afonso I's descendants, members of the Portuguese House of Burgundy, would rule Portugal until 1383. Even after the change in royal houses, all the monarchs of Portugal were descended from Afonso I, one way or another, through both legitimate and illegitimate links. An anachronous map of the Portuguese Empire. With the start of the 20th century, Republicanism grew in numbers and support in Lisbon among progressive politicians and the influential press. However a minority with regard to the rest of the country, this height of republicanism would benefit politically from the Lisbon Regicide on 1 February 1908. While returning from the Ducal Palace at Vila Viçosa, King Carlos I and the Prince Royal Luís Filipe were assassinated in the Terreiro do Paço, in Lisbon. With the death of the King and his heir, Carlos I's second son would become monarch as King Manuel II. 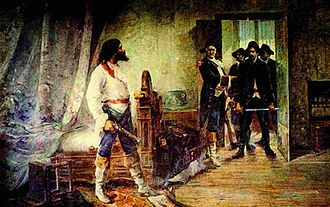 Manuel's reign, however, would be short-lived, ending by force with the 5 October 1910 revolution, sending Manuel into exile in Great Britain and giving way to the Portuguese First Republic. On 19 January 1919, the Monarchy of the North was proclaimed in Porto. The monarchy would be deposed a month later and no other monarchist counterrevolution in Portugal has happened since. 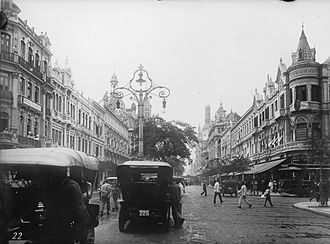 After the republican revolution in October 1910, the remaining colonies of the empire became overseas provinces of the Portuguese Republic until the late 20th century, when the last overseas territories of Portugal were handed over (most notably Portuguese Africa which included the overseas provinces of Angola and Mozambique in 1975, and finally Macau in 1999). ^ After 1415, it was also known as the Kingdom of Portugal and the Algarves (Latin: Regnum Portugalliae et Algarbiae, Portuguese: Reino de Portugal e dos Algarves), and between 1815 and 1822, it was known as the United Kingdom of Portugal, Brazil and the Algarves (Portuguese: Reino Unido de Portugal, Brasil e Algarves). ^ Widely used for administrative and liturgical purposes. Medieval Latin replaced by Renaissance Latin by the 15th century. ^ Until 1497, mainly in the Algarve. Portugal, officially the Portuguese Republic, is a country on the Iberian Peninsula in Southwestern Europe. It is the westernmost country of mainland Europe, to the west and south it is bordered by the Atlantic Ocean and to the east and north by Spain. The Portugal–Spain border is 1,214 kilometres long and considered the longest uninterrupted border within the European Union, the republic includes the Atlantic archipelagos of the Azores and Madeira, both autonomous regions with their own regional governments. The territory of modern Portugal has been settled, invaded. The Pre-Celts, Celts and the Romans were followed by the invasions of the Visigothic, in 711 the Iberian Peninsula was invaded by the Moors, making Portugal part of Muslim Al Andalus. Portugal was born as result of the Christian Reconquista, and in 1139, Afonso Henriques was proclaimed King of Portugal, in the 15th and 16th centuries, Portugal established the first global empire, becoming one of the worlds major economic and military powers. 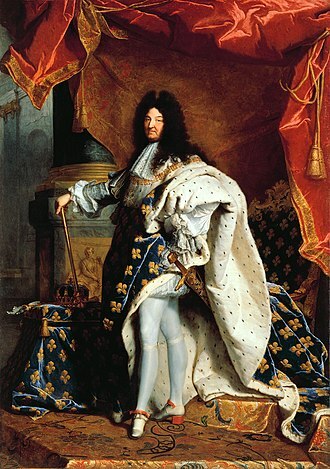 Portugal monopolized the trade during this time, and the Portuguese Empire expanded with military campaigns led in Asia. After the 1910 revolution deposed the monarchy, the democratic but unstable Portuguese First Republic was established, democracy was restored after the Portuguese Colonial War and the Carnation Revolution in 1974. Shortly after, independence was granted to almost all its overseas territories, Portugal has left a profound cultural and architectural influence across the globe and a legacy of over 250 million Portuguese speakers today. Portugal is a country with a high-income advanced economy and a high living standard. It is the 5th most peaceful country in the world, maintaining a unitary semi-presidential republican form of government and it has the 18th highest Social Progress in the world, putting it ahead of other Western European countries like France and Italy. Portugal is a pioneer when it comes to drug decriminalization, as the nation decriminalized the possession of all drugs for use in 2001. The early history of Portugal is shared with the rest of the Iberian Peninsula located in South Western Europe, the name of Portugal derives from the joined Romano-Celtic name Portus Cale. 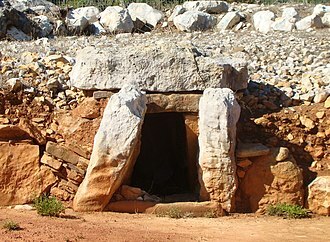 Other influences include some 5th-century vestiges of Alan settlements, which were found in Alenquer, the region of present-day Portugal was inhabited by Neanderthals and by Homo sapiens, who roamed the border-less region of the northern Iberian peninsula. These were subsistence societies that, although they did not establish prosperous settlements, neolithic Portugal experimented with domestication of herding animals, the raising of some cereal crops and fluvial or marine fishing. Chief among these tribes were the Calaicians or Gallaeci of Northern Portugal, the Lusitanians of central Portugal, the Celtici of Alentejo, a few small, semi-permanent, commercial coastal settlements were founded in the Algarve region by Phoenicians-Carthaginians. 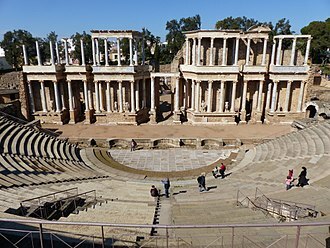 Romans first invaded the Iberian Peninsula in 219 BC, during the last days of Julius Caesar, almost the entire peninsula had been annexed to the Roman Republic. Islam is an Abrahamic monotheistic religion which professes that there is only one and incomparable God and that Muhammad is the last messenger of God. It is the worlds second-largest religion and the major religion in the world, with over 1.7 billion followers or 23% of the global population. 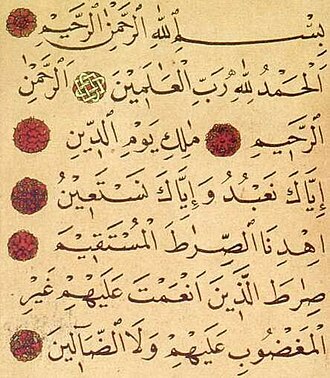 Islam teaches that God is merciful, all-powerful, and unique, and He has guided mankind through revealed scriptures, natural signs, and a line of prophets sealed by Muhammad. The primary scriptures of Islam are the Quran, viewed by Muslims as the word of God. Muslims believe that Islam is the original and universal version of a faith that was revealed many times before through prophets including Adam, Abraham, Moses. As for the Quran, Muslims consider it to be the unaltered, certain religious rites and customs are observed by the Muslims in their family and social life, while social responsibilities to parents and neighbors have been defined. Besides, the Quran and the sunnah of Muhammad prescribe a comprehensive body of moral guidelines for Muslims to be followed in their personal, political, Islam began in the early 7th century. Originating in Mecca, it spread in the Arabian Peninsula. The expansion of the Muslim world involved various caliphates and empires, most Muslims are of one of two denominations, Sunni or Shia. Islam is the dominant religion in the Middle East, North Africa, sizable Muslim communities are found in Horn of Africa, China, Mainland Southeast Asia, Northern Borneo and the Americas. Converts and immigrant communities are found in almost every part of the world, Islam is a verbal noun originating from the triliteral root s-l-m which forms a large class of words mostly relating to concepts of wholeness, submission and peace. In a religious context it means voluntary submission to God, Islām is the verbal noun of Form IV of the root, and means submission or surrender. Muslim, the word for an adherent of Islam, is the active participle of the verb form. The word sometimes has connotations in its various occurrences in the Quran. In some verses, there is stress on the quality of Islam as a state, Whomsoever God desires to guide. It is separated from Madagascar by the Mozambique Channel to the east. The capital and largest city is Maputo, between the 1st and 5th centuries AD, Bantu-speaking peoples migrated from farther north and west. Swahili commercial ports existed along the coasts until the arrival of Europeans, the area was explored by Vasco da Gama in 1498 and colonised by Portugal from 1505. The country was an important place where Somali merchants enslaved the local population, after over four centuries of Portuguese rule, Mozambique gained independence in 1975, becoming the Peoples Republic of Mozambique shortly thereafter. After only two years of independence, the country descended into an intense and protracted civil war lasting from 1977 to 1992, in 1994, Mozambique held its first multiparty elections and has remained a relatively stable presidential republic. However, since 2013, following more than 20 years of peace, Mozambique is one of the poorest and most underdeveloped countries in the world. Mozambique is endowed with rich and extensive natural resources, the countrys economy is based largely on agriculture, but industry is growing, mainly food and beverages, chemical manufacturing, and aluminium and petroleum production. The countrys tourism sector is growing, South Africa is Mozambiques main trading partner and source of foreign direct investment. Belgium, Brazil and Spain are among the countrys most important economic partners, since 2001, Mozambiques annual average GDP growth has been among the worlds highest. However, the ranks among the lowest in GDP per capita, human development, measures of inequality. The only official language of Mozambique is Portuguese, which is mostly as a second language by about half of the population. Common native languages include Makhuwa and Swahili, the countrys population of around 24 million is composed overwhelmingly of Bantu people. 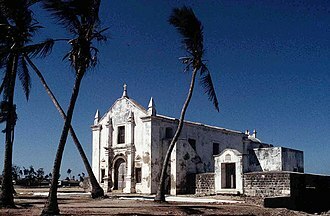 The largest religion in Mozambique is Christianity, with significant minorities following Islam, the island-town was the capital of the Portuguese colony until 1898, when it was moved south to Lourenço Marques. Between the 1st and 5th centuries AD, waves of Bantu-speaking people migrated from the west and north through the Zambezi River valley and gradually into the plateau and they established agricultural communities or societies based on herding cattle. Guinea-Bissau, officially the Republic of Guinea-Bissau, is a country in West Africa. It covers 36,125 square kilometres with a population of 1,704,000. Guinea-Bissau was once part of the kingdom of Gabu, as well as part of the Mali Empire, parts of this kingdom persisted until the 18th century, while a few others were under some rule by the Portuguese Empire since the 16th century. In the 19th century, it was colonized as Portuguese Guinea, upon independence, declared in 1973 and recognised in 1974, the name of its capital, was added to the countrys name to prevent confusion with Guinea. 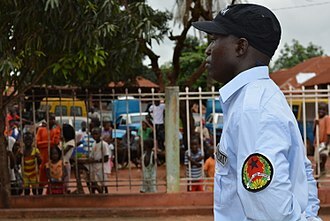 Guinea-Bissau has a history of instability since independence, and no elected president has successfully served a full five-year term. Only 14% of the population speaks Portuguese, established as the language in the colonial period. Almost half the population speaks Crioulo, a Portuguese-based creole language, the main religions are African traditional religions and Islam, there is a Christian minority. The countrys per-capita gross domestic product is one of the lowest in the world, Guinea-Bissau was once part of the kingdom of Gabu, part of the Mali Empire, parts of this kingdom persisted until the 18th century. Other parts of the territory in the current country were considered by the Portuguese as part of their empire, Portuguese Guinea was known as the Slave Coast, as it was a major area for the exportation of African slaves by Europeans to the western hemisphere. Early reports of Europeans reaching this area include those of the Venetian Alvise Cadamostos voyage of 1455, the 1479–1480 voyage by Flemish-French trader Eustache de la Fosse, and Diogo Cão. In the 1480s this Portuguese explorer reached the Congo River and the lands of Bakongo, setting up the foundations of modern Angola, some 4200 km down the African coast from Guinea-Bissau. The local African rulers in Guinea, some of whom prospered greatly from the trade, controlled the inland trade. They kept them in the coastal settlements where the trading took place. African communities that fought back against slave traders distrusted European adventurers, the Portuguese in Guinea were largely restricted to the port of Bissau and Cacheu. A small number of European settlers established isolated farms along Bissaus inland rivers, for a brief period in the 1790s, the British tried to establish a rival foothold on an offshore island, at Bolama. 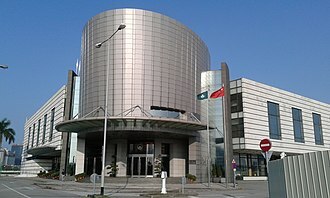 Angola /æŋˈɡoʊlə/, officially the Republic of Angola, is a country in Southern Africa. It is the seventh-largest country in Africa and is bordered by Namibia to the south, the Democratic Republic of the Congo to the north, Zambia to the east, and the Atlantic Ocean to west. The exclave province of Cabinda has borders with the Republic of the Congo, the capital and largest city of Angola is Luanda. In the 19th century, European settlers slowly and hesitantly began to themselves in the interior. 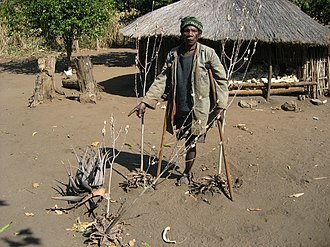 As a Portuguese colony, Angola did not encompass its present borders until the early 20th century, following resistance by groups such as the Cuamato, the Kwanyama and the Mbunda. 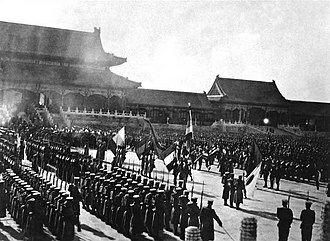 Independence was achieved in 1975 under a communist one-party state backed by the Soviet Union, the country soon descended into an even lengthier civil war that lasted until 2002. 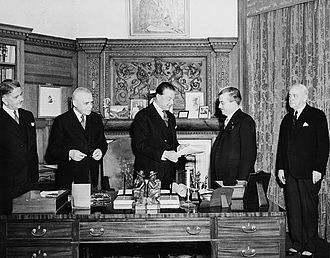 It has since become a relatively stable presidential republic. Angola has vast mineral and petroleum reserves, and its economy is among the fastest growing in the world, Angolas economic growth is highly uneven, with the majority of the nations wealth concentrated in a disproportionately small sector of the population. Angola is a state of the United Nations, OPEC, African Union, the Community of Portuguese Language Countries, the Latin Union. A highly multiethnic country, Angolas 25.8 million people span various tribal groups, Angolan culture reflects centuries of Portuguese rule, namely in the predominance of the Portuguese language and the Catholic Church, combined with diverse indigenous influences. The name Angola comes from the Portuguese colonial name Reino de Angola, the toponym was derived by the Portuguese from the title ngola held by the kings of Ndongo. Ndongo was a kingdom in the highlands, between the Kwanza and Lukala Rivers, nominally tributary to the king of Kongo but which was seeking greater independence during the 16th century, modern Angola was populated predominantly by nomadic Khoi and San prior to the first Bantu migrations. The Khoi and San peoples were neither pastoralists nor cultivators, following a hunter-gatherer lifestyle and they were displaced by Bantu peoples arriving from the north, some of whom likely originated in northwestern Nigeria. East Timor or Timor-Leste, officially the Democratic Republic of Timor-Leste, is a sovereign state in Maritime Southeast Asia. It comprises the half of the island of Timor, the nearby islands of Atauro and Jaco, and Oecusse. The countrys size is about 15,410 km2, nine days later, it was invaded and occupied by Indonesia and was declared Indonesias 27th province the following year. 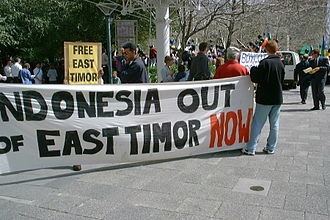 The Indonesian occupation of East Timor was characterised by a highly violent decades-long conflict between separatist groups and the Indonesian military, in 1999, following the United Nations-sponsored act of self-determination, Indonesia relinquished control of the territory. East Timor became the first new state of the 21st century on 20 May 2002 and joined the United Nations. In 2011, East Timor announced its intention to gain status in the Association of Southeast Asian Nations by applying to become its eleventh member. It is one of two predominantly Christian nations in Southeast Asia, the other being the Philippines. In Indonesian, the country is called Timor Timur, thus using the Portuguese name for the island followed by the word for east, the official names under the Constitution are Democratic Republic of Timor-Leste in English, República Democrática de Timor-Leste in Portuguese and Repúblika Demokrátika Timór-Leste in Tetum. Humans first settled in East Timor 42,000 years ago, descendants of at least three waves of migration are believed still to live in East Timor. The first is described by anthropologists as people of the Veddo-Australoid type, around 3000 BC, a second migration brought Melanesians. The earlier Veddo-Australoid peoples withdrew at this time to the mountainous interior, proto-Malays arrived from south China and north Indochina. Hakka traders are among those descended from this final group, Timorese origin myths tell of ancestors that sailed around the eastern end of Timor arriving on land in the south. Some stories recount Timorese ancestors journeying from the Malay Peninsula or the Minangkabau highlands of Sumatra, austronesians migrated to Timor, and are thought to be associated with the development of agriculture on the island. Rio de Janeiro, or simply Rio, is the second-most populous municipality in Brazil and the sixth-most populous in the Americas. The metropolis is anchor to the Rio de Janeiro metropolitan area, Rio de Janeiro is the capital of the state of Rio de Janeiro, Brazils third-most populous state. 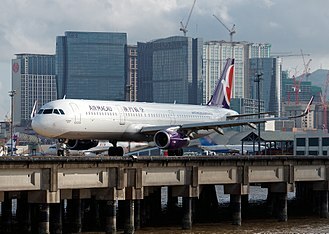 Part of the city has designated as a World Heritage Site, named Rio de Janeiro. 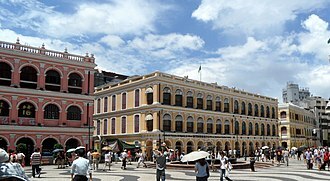 Founded in 1565 by the Portuguese, the city was initially the seat of the Captaincy of Rio de Janeiro, later, in 1763, it became the capital of the State of Brazil, a state of the Portuguese Empire. 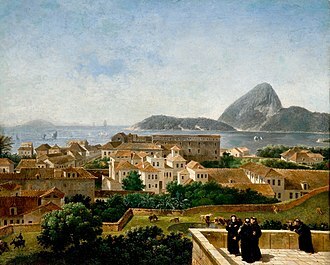 Rio stayed the capital of the pluricontinental Lusitanian monarchy until 1822 and this is one of the few instances in history that the capital of a colonising country officially shifted to a city in one of its colonies. Rio de Janeiro has the second largest municipal GDP in the country, the home of many universities and institutes, it is the second-largest center of research and development in Brazil, accounting for 17% of national scientific output according to 2005 data. The Maracanã Stadium held the finals of the 1950 and 2014 FIFA World Cups, the 2013 FIFA Confederations Cup, the city is divided into 33 administrative regions. Europeans first encountered Guanabara Bay on 1 January 1502, by a Portuguese expedition under explorer Gaspar de Lemos captain of a ship in Pedro Álvares Cabrals fleet, allegedly the Florentine explorer Amerigo Vespucci participated as observer at the invitation of King Manuel I in the same expedition. 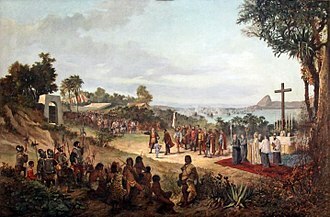 The region of Rio was inhabited by the Tupi, Botocudo, in 1555, one of the islands of Guanabara Bay, now called Villegagnon Island, was occupied by 500 French colonists under the French admiral Nicolas Durand de Villegaignon. 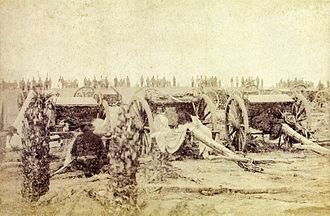 Consequently, Villegagnon built Fort Coligny on the island when attempting to establish the France Antarctique colony, Rio de Janeiro was the name of Guanabara Bay. 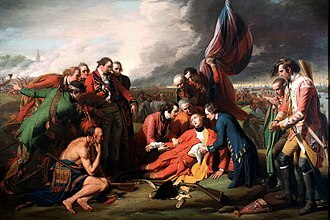 Until early in the 18th century, the city was threatened or invaded by several, mostly French and buccaneers, such as Jean-François Duclerc, on 27 January 1763, the colonial administration in Portuguese America was moved from Salvador to Rio de Janeiro. 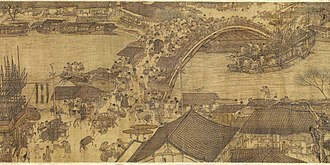 The kingdoms capital was transferred to the city, thus, as there was no physical space or urban structure to accommodate hundreds of noblemen who arrived suddenly, many inhabitants were simply evicted from their homes. 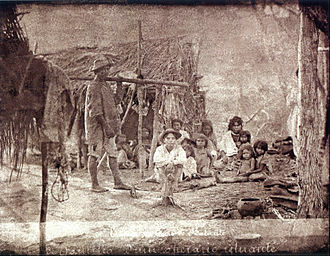 The first printed newspaper in Brazil, the Gazeta do Rio de Janeiro, from the colonial period until the first independent decades, Rio de Janeiro was a city of slaves. 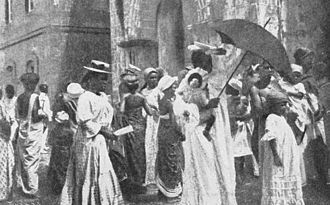 There was an influx of African slaves to Rio de Janeiro, in 1819. In 1840, the number of slaves reached 220,000 people, the Port of Rio de Janeiro was the largest port of slaves in America. 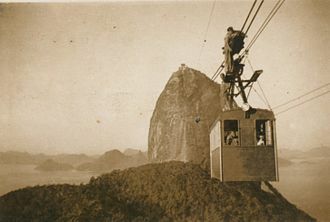 As a political center of the country, Rio concentrated the political-partisan life of the Empire and it was the main stage of the abolitionist and republican movements in the last half of the 19th century. Rio continued as the capital of Brazil after 1889, when the monarchy was replaced by a republic, until the early years of the 20th century, the city was largely limited to the neighbourhood now known as the historic city centre, on the mouth of Guanabara Bay. Barbados is a sovereign island country in the Lesser Antilles, in the Americas. It is 34 kilometres in length and up to 23 km in width, Barbados is outside of the principal Atlantic hurricane belt. Inhabited by Kalinago people since the 13th century, and prior to that by other Amerindians, Barbados was visited by Spanish navigators in the late 15th century and it first appeared in a Spanish map in 1511. The Portuguese visited the island in 1536, but they left it unclaimed, an English ship, the Olive Blossom, arrived in Barbados in 1625, its men took possession of it in the name of King James I. In 1627, the first permanent settlers arrived from England, and it became an English, in 1966, Barbados became an independent state and Commonwealth realm with the British Monarch as hereditary head of state. It has a population of 280,121 people, predominantly of African descent, despite being classified as an Atlantic island, Barbados is considered to be a part of the Caribbean, where it is ranked as a leading tourist destination. Forty percent of the come from the UK, with the US. In 2014, Transparency Internationals Corruption Perceptions Index ranked Barbados joint second in the Americas, the name Barbados is either the Portuguese word Barbados or the Spanish equivalent los Barbados, both meaning the bearded ones. In 1519, a map produced by the Genoese mapmaker Visconte Maggiolo showed and named Barbados in its correct position, the island of Barbuda in the Leewards is very similar in name and was once named Las Barbudas by the Spanish. It is uncertain which European nation arrived first in Barbados, one lesser known source points to earlier-revealed works predating contemporary sources indicating it could have been the Spanish. Others believe the Portuguese, en route to Brazil, were the first Europeans to come upon the island, colloquially Barbadians refer to their home island as Bim or other nicknames associated with Barbados includes Bimshire. The origin is uncertain but several theories exist, the name could have arisen due to the relatively large percentage of enslaved Igbo people from modern-day southeastern Nigeria arriving in Barbados in the 18th century. Luís Filipe, Prince Royal of Portugal and Infante Manuel, Duke of Beja, 1907. Manuel II with the Civil Governor of Porto on the King's national trip in 1908. 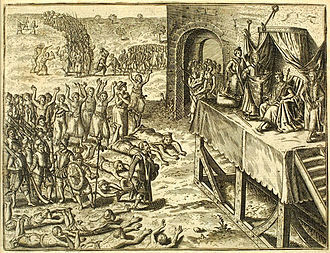 Another depiction of the Lisbon Regicide. "In this location, on the 1 February of 1908, His Majesty The King Dom Carlos I and the Prince Royal Dom Luís Filipe died for the Fatherland." The Praça do Comércio/Terreiro do Paço; at the moment the king was assassinated, the carriage had reached the western extent (on the left) of the square. Contemporary commemorative illustration of the Proclamation of the Portuguese Republic on 5 October 1910. Commemorative plaque on 31 de Janeiro Street, in Porto. A 500 reais gold coin, king Sebastian of Portugal (1557-1578). Portuguese Malacca tin coins of King Emmanuel (1495-1521) and John III (1521-1557) period were discovered during an excavation near the Malacca River mouth by W. Edgerton, Resident Councilor of Malacca in 1900. 200 reis, king Manuel II of Portugal, 1909. An illustration depicting Portuguese encounter with Kongo Royal family. Epupa Falls, Cunene River on the border of Angola and Namibia. Black Rocks at Pungo Andongo near Malange. José Eduardo dos Santos meets with Vladimir Putin (2006). Xanana Gusmão, the first East Timorese President. Dahomey Amazons with the King at their head, going to war, 1793. A Celestial Church of Christ baptism in Cotonou. 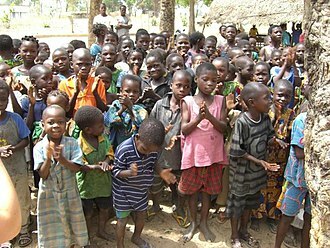 Five percent of Benin's population belongs to this denomination, an African Initiated Church. 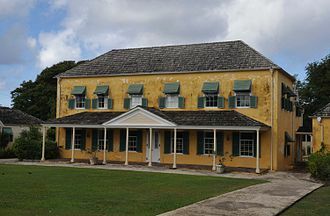 George Washington House was visited by George Washington in 1751, in what is believed to have been his only trip outside the present day United States. 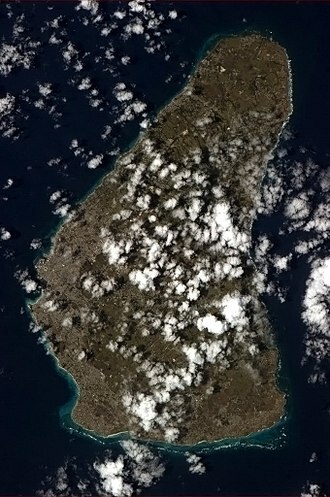 Barbados, seen from the International Space Station. 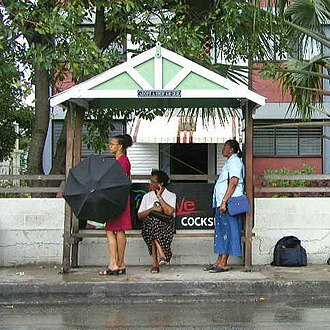 A bus stop in Barbados. 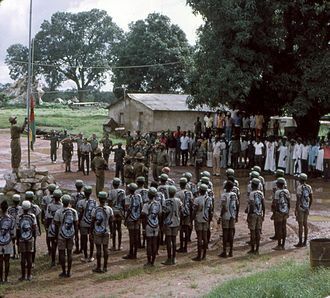 PAIGC forces raise the flag of Guinea-Bissau in 1974. 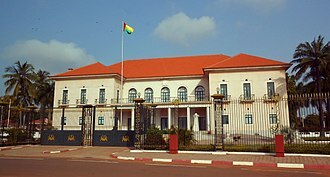 The Presidential Palace of Guinea-Bissau. The legislature meets in the Legislative Assembly Building in Sé. 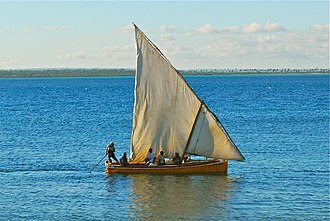 The Island of Mozambique is a small coral island at the mouth of Mossuril Bay on the Nacala coast of northern Mozambique, first explored by Europeans in the late 15th century. Pedro de Sousa Holstein, President of the Council of Ministers of the Kingdom. D. Pedro de Sousa Holstein, Duke of Palmela, former Duke of Faial. According to the BBC, President Obiang Nguema "has been described by rights organisations as one of Africa's most brutal dictators." Pays d'en Haut in pink around the Great Lakes in 1748. "Victims for sacrifice" – from The history of Dahomy, an inland Kingdom of Africa, 1793. The poster announcing the London premiere of In Dahomey at the Shaftesbury Theatre, 1903. Copy of the original "Hymno da Carta".